Earlier in the month, we commented on a Daily Mirror photo essay on the “tunnel children” of Gaza, “brave youngsters” who, we were told, keep the economy in the Hamas run enclave going. 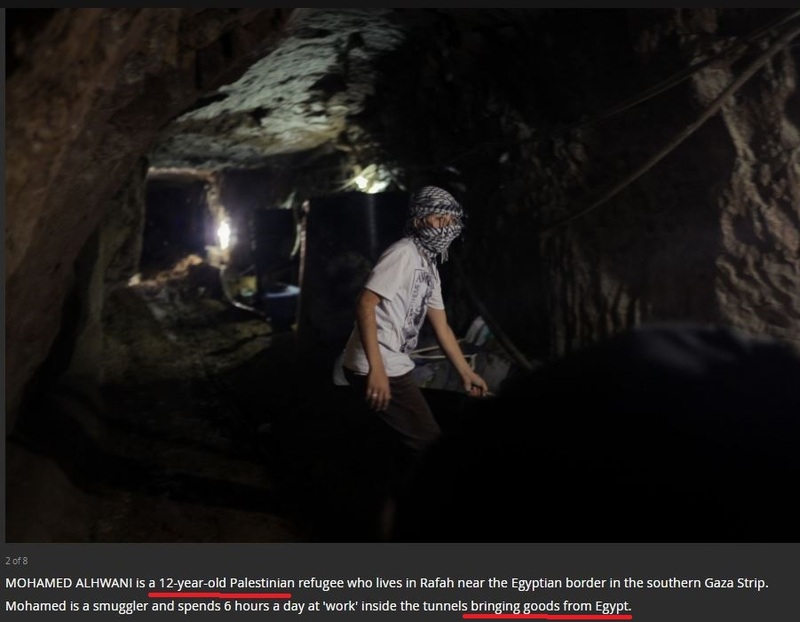 The piece, we noted, was in some sort of time warp, as Egypt destroyed most of the tunnels in 2013 and 2014, collapsing what was known as the “underground Gaza economy”. Sure enough, when we did a search, it turned out that all of the tunnels depicted in the series were first published in a 2013, a fact not revealed by editors. Now, when you open the link, all you see is the headline. We’d like to thank IPSO for their assistance. IPSO gave the Daily Mirror an opportunity to respond to our complaint, but editors chose not to dispute our claim, and agreed to our request that they remove the entire photo series. Great that it ended well. Well done UKMediaWatch. But. It is appalling that you had to turn to IPSO at all and that the the Daily Mirror was unresponsive. I’m trying to think of why the editors would choose to (re)run a four-year old photo essay. My guess is that it received a lot of clicks and “likes” and shares–they’re children; they’re nobly running an underground economy, literally, and it’s implicitly anti-Israel. If the editor/s of the Daily Mail could be exposed as to their motivations, that might help expose their bias. Of course, it won’t end it, but it will expose it to sunlight, much like the tunnels. Thank you for your work.